What a great capture. Adorable little birds. Excellent detail and eye to have spotted them. Great capture! They are hard to spot and photograph, I don't think I've ever gotten a good shot of one... well done! 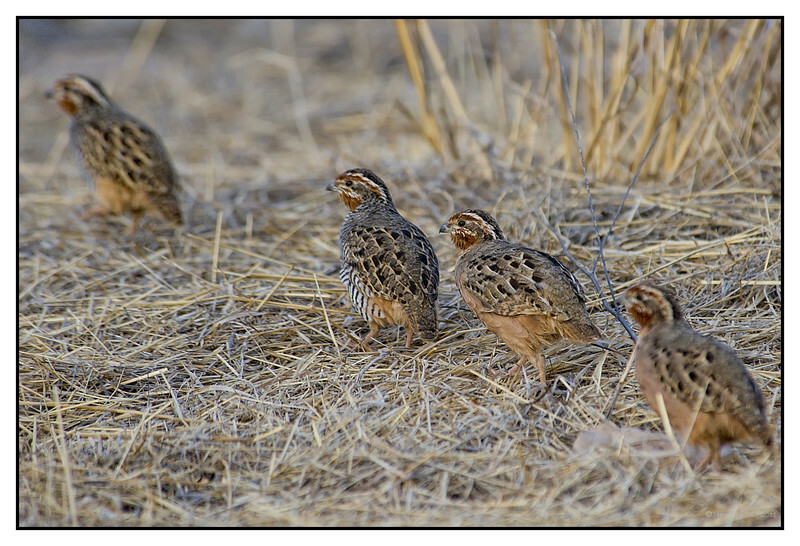 I love this covey of quails! FABULOUS CAPTURE! Love that they are all in a line for you! Wonderful details. Great details and love that you caught 4 in a row. neat capture of the lineup !